In the era of technology, anything is possible. Every single field in our lives is becoming more connected to the world of technology in ways we don’t even know it. Fashion labels are making strong efforts to use the best of it, to make their products more available and alluring for customers. Since presenting a campaign the old-fashioned way is not fun anymore, high-end brands are constantly looking for a way to leave a strong impression. Olivier Rousteing from Balmain decided to embrace the latest innovations in digital technology for his Pre-Fall 2018 ads. 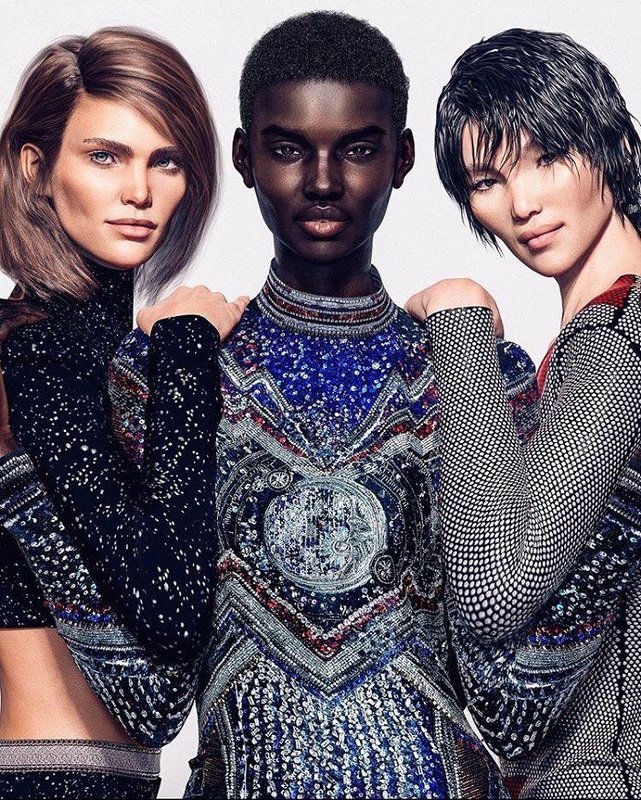 Balmain’s army is officially growing, but this time it’s very much different from before. You probably expected to see long-legged beauties such as Bella Hadid, Kendall Jenner, Hailey Baldwin as a new part of their team. But Olivier Rousteing took a cue from Fenty Beauty and created his own “virtual army”. The innovative creative director opted for digital models who were specially manufactured to present the label’s Pre-Fall 2018 campaign. 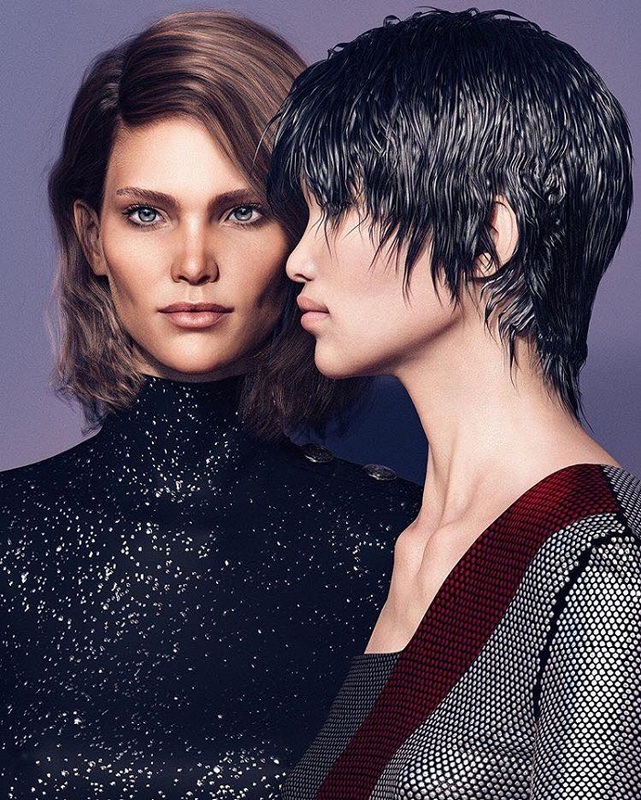 Rousteing collaborated with Cameron James Wilson, whose specialty is creating CGI models. He is actually the one who brought to life the first-ever virtual model called Shudu. What was first labeled as a controversial move, is now being accepted by huge luxury brands. Just recently, Rihanna tapped Shudu for one of her ads. The trending name has shot editorials for Cosmopolitan and WWD. Cameron and Olivier worked closely in delivering two other digital influencers according to the designer’s wishes. Shudu is joined by Xhi and Margot, making the Balmain Army very diverse. “There’s one quality that immediately stands out when you look at the growing Balmain Army: an unfettered celebration of inclusion. Anyone and everyone is always welcome to join its growing ranks, they need only share our bold spirit of adventure as our new virtual icons, Margot, Shudu and Zhi who mirror the beauty, the rock style, and the confident power.”- says the brand’s official website. According to Olivier Xhi is a “Chinese beauty with a really short haircut” inspired by the musical legend David Bowie. Margot is a “French girl of his childhood dreams”. The creative director is obsessed with music and was influenced by iconic names such as Tina Turner, Michael Jackson, David Bowie, and Prince when he was putting together the looks of his new Balmain Army members. All three ladies are strong, independent and have a fierce signature style. CLO Virtual Fashion is the brand who actually put together all the clothing looks for the campaign. They specialize in delivering 3D garment simulations. Rousteing’s creativity definitely deserves an applause!